VoIPstudio is a complete fully featured Hosted PBX Business VoIP telephone systems. It allows you to make and receive phone calls from the Internet and traditional telephone network at the same time. It makes managing your communication easier and helps to reduce operating costs and increase productivity. 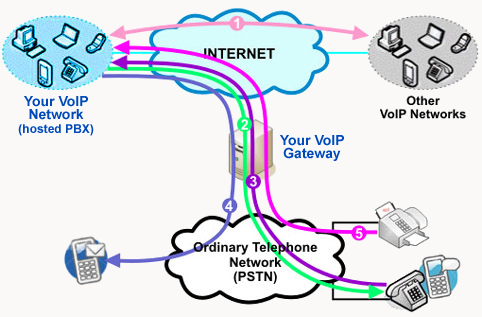 This guide is intended for anyone using VoIPstudio Hosted PBX system. Only basic computer skills are required. Four digit long number assigned to each user. It can be only dialled within the same organisation and allows for quick access to co-workers. An important part of the VolP system is the Softphone program. It allows users to make and receive telephone calls (both from the Internet and traditional telephone network) directly on their PC or a laptop. The control panel is the heart of the VolP web based application. It is from the control panel that you can manage all aspects of your Hosted PBX system. For example, you can view your call history, check voice mail messages, or join a virtual conference room.